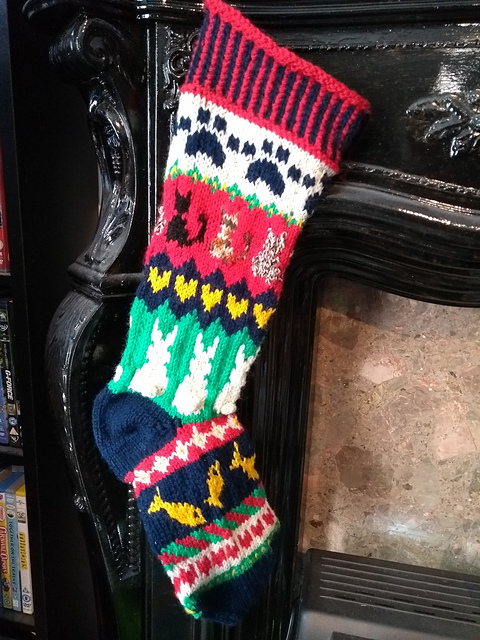 Two years ago, I knit Christmas stockings for myself, Engel and Felix all based on the pet love Christmas stocking (you can have a look at those here if you want) and it only seemed right to include Inkling in on this tradition. I had to guess his favourite animals, it’s kind of hard when he’s not quite 6 months old yet – I went for rabbits as he squeals when he sees them on the TV, and he loves watching the goldfish in the fish tank, so fish it was. Yup. It’s Shub-Niggurath (The Black Goat of the Woods with a Thousand Young). 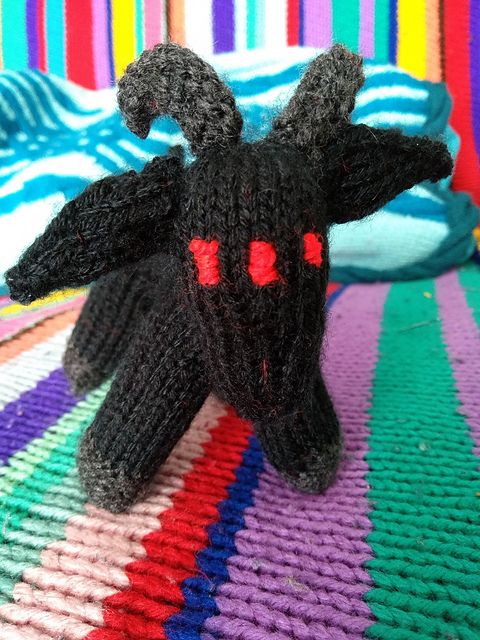 I mentioned on a previous post that after knitting the Stubborn Goat I wanted to make one, but not the thousand young so nope, not happening. There will not be any young. Especially not a thousand of them.